Today’s consumers rely on search engines to help them find everything from restaurant recommendations to B2B software providers. This means that regardless of what your business offers, your target audience is likely searching for products or services like yours on search engines like Google. And if you want to attract them to your site, you need search engine optimization. But if you’ve spent much time researching your options with digital marketing, you’ve probably heard that before. Once you’ve accepted this, though, the next logical question is how to do search engine optimization. That’s why on this page, we’ll explain exactly what makes SEO so important, as well as a few search engine optimization techniques and search engine optimization tools you can use to increase your online visibility. Search engine optimization, or SEO, is a strategy for improving your site’s rankings in search engine results. It involves identifying which keywords and phrases your target audience uses when looking for products or services like yours, then working towards ranking well for those searches. Of course, this is a simplified explanation — and you can check out our resource on “what is SEO” for a more in-depth look at search engine optimization. Today, SEO is an essential part of any effective marketing strategy. But to fully illustrate its importance, let’s go over a few of the reasons you should be optimizing your site. Although branding is often considered a more traditional marketing strategy, while SEO falls firmly into the digital category, the two involve similar steps. 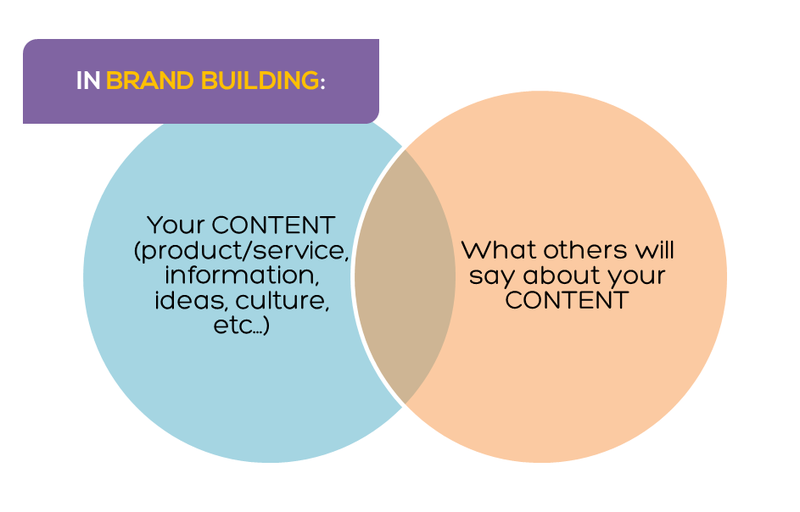 Building a brand requires considering both what you provide, and what others say about it. And when you look at the steps involved in optimizing a site, the factors are similar. 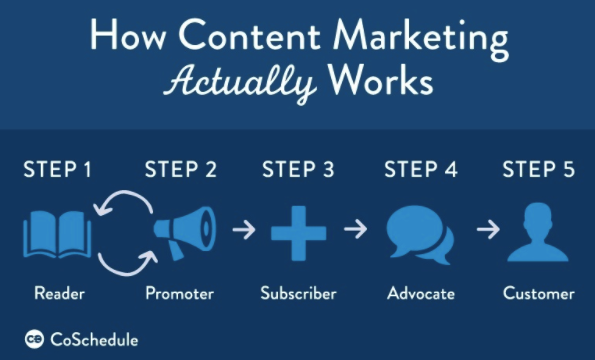 You need to create content that’s in line with your audience’s needs and interests, then find ways to earn links to that content from other sites. If you keep this relationship in mind as you develop your SEO strategy, you can select keywords and create content that’s in line with the image you want your brand to have. Then, your online presence will reflect your ideal branding — and help you establish it with your target audience. On the surface, the goal of SEO optimization is to improve your site’s rankings in search results. But beyond that, the purpose of achieving high rankings is to attract more traffic — and ideally, to convert that traffic into customers and leads. And in case you were wondering, it works. For example, just take a look at the following organic traffic report from a Siege Media case study. Over the course of one year, this brand new site’s traffic increased from zero to 100,000 visitors — entirely from SEO. If you want to bring more users to your site, SEO is the best way to accomplish this goal. One of the biggest advantages of SEO is that it doesn’t involve paying for ad space. Consider how traditional ad campaigns operate. You determine a location you want your brand to appear, whether that’s on a particular TV channel or radio station, or in the pages of a magazine or newspaper. Then, you pay the company that owns that media for placement. You might pay for your ad to run for a certain length of time, or within a certain number of issues. As soon as that period is up, your ad stops appearing — and stops generating results for your business. Now, consider the various pages that appear in search engine results. The top two listings in this screenshot are pay-per-click, or PPC, ads, as denoted by the small “Ad” tag. Much like traditional ad campaigns, earning one of these spots involving ongoing costs. Of course, if you’re familiar with PPC, you know that advertisers only pay when a user clicks an ad and visits their site. This certainly gives it an edge over traditional methods. Still, every visitor involves a cost — and the minute an advertiser pauses their campaign, they stop showing up. 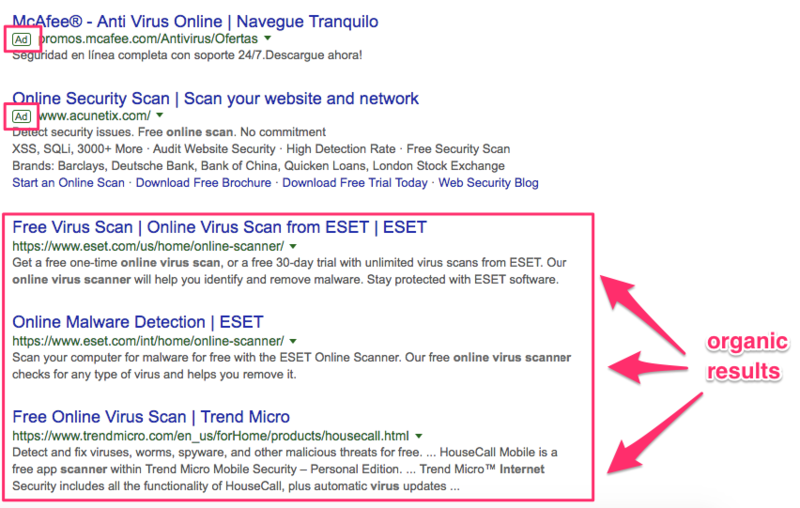 But the sites appearing in the organic results, directly below those ads, aren’t paying a cent for those rankings. While they likely invested a significant amount of time and money into creating the pages that are ranking in those spots, they appear on page one because Google’s algorithm thinks they provide value to users. As a result, they’re earning traffic without spending a cent. SEO can help your business get in front of your target audience as they’re actively searching for information. And considering how common it is for consumers to use search engines to find information about products and services, this is a huge opportunity. 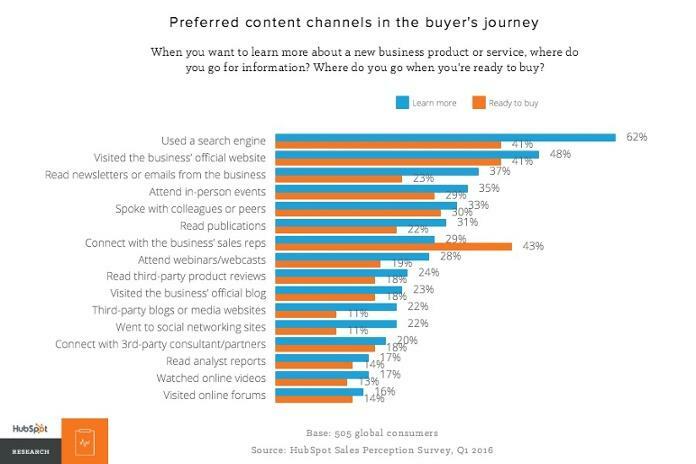 In fact, 62% of consumers turn to search engines first when they want to learn more about a new business, product, or service — and 41% use them when they’re ready to buy. This means that if you want your business to be part of a user’s online research process, it needs to show up in search results for keywords related to the products or services you offer. Plus, according to that same survey, 48% of consumers prefer to visit a business’s official website to learn more about them. So having a strong online presence will not only help you reach your marketing goals but will also enable your target audience to research and buy in a way that works for them. The Internet has drastically changed what the sales process looks like for many businesses. That’s because today, consumers have access to a wealth of helpful resources that can help them learn about their options before they speak with a sales representative. And with SEO optimization, you can become part of that learning process. That’s especially true if you combine your SEO efforts with content marketing. When you create informative, valuable content, you have the opportunity to build trust and credibility with potential customers early in the research phase. First, a user finds your site by searching for information related to your industry and seeing one of your resources in the search results. Then, they read that resource. If they like it, they might share it with their friends and subscribe to your email list. This is where the process slows down a bit. That user might return to your site several times and read your email content regularly over the next few months without taking action. And if you’re used to the traditional sales process, this can be frustrating. But with each piece of content they read, you’re establishing your brand as a credible, authoritative source of information. Then, when they’re finally ready to make a purchase or speak with a sales representative, they’ll know exactly which company to turn to — and be extremely comfortable doing so after all of the helpful information you’ve already provided for free. As you optimize your site, you’re not just working to improve where your site ranks on results pages. You’re also moving above your competitors. 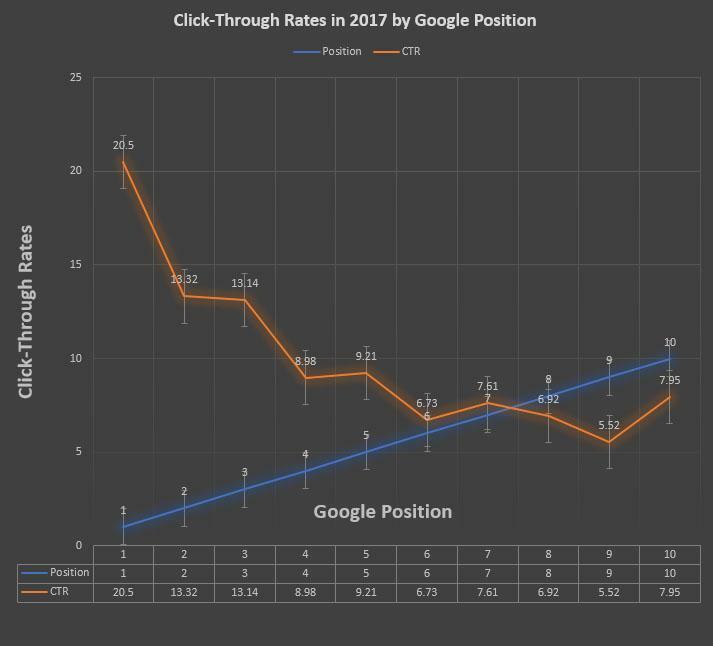 Just consider that the first result on any given results page gets an average of 20.5% of the clicks. From there, the second result gets 13.32%, and the third gets 13.14%. This means that as you move up in search results, you’ll earn a larger percentage of the clicks for your target keywords — and your competitors will earn less. Google’s ultimate goal is to provide the best possible results for their users. As a result, many of their algorithm updates focus on making sure that they’re directing users to sites that not only provide relevant content, but also a great user experience. That’s why today, technical factors like mobile-friendliness, usability, and site speed play a much bigger role in rankings than ever before. While this means that optimizing your site might require a bit more professional help, it also means that you’ll be continuously improving the user experience your site provides. And when you consider the impact that user experience has on conversions, this can have a significant impact on your sales and revenue in the long run. Finally, one of the biggest advantages of SEO is that you can measure virtually every aspect of your results. Unlike traditional methods, which often rely on looking for correlations between ad campaigns and sales, it’s easy to see the return you’re getting from your SEO investment. You can use tools like Google Analytics to monitor your traffic, referral sources, conversions, and any other metric that matters to your business. This way, you can accurately evaluate what’s working — and what isn’t — and be confident that you’re allocating your marketing budget to the strategies that have the biggest impact on your most important goals. The basic premise of SEO has always been the same: Improve rankings in search results. But as Google continues to update its algorithm, the exact steps required to achieve this goal have also changed over time. So although the general idea remains the same, there are a few things you’ll want to keep in mind as you optimize your site in 2018. Google’s algorithm updates are almost impossible to predict. The company is highly secretive about the changes it makes to its algorithm, sometimes even after they happen — so it can be difficult to keep up with those changes. Still, every update has one thing in common. They’re all designed to help the search engine provide the best possible results for searchers. So as you work on improving your site, always remember to keep your focus on the user. Choose topics that are relevant to their needs, write content in a way that’s helpful and straightforward, and make sure that your site is easy to navigate and engage with. This way, even though there’s no way to tell what Google’s next move will be, you’ll be working with the same core goal in mind — and that can only work in your favor. Search engines have used keywords as a consideration in how they rank pages from the beginning, and they’re still an important factor today. You can learn more about the role they play in our resource on on-page SEO. One of the biggest changes in how people browse the Internet over the past few years is the devices with which we access online content. In the early days of SEO, the only way to access a search engine was on a desktop computer. Today, an increasing number of users browse on smartphones, tablets, and other devices. 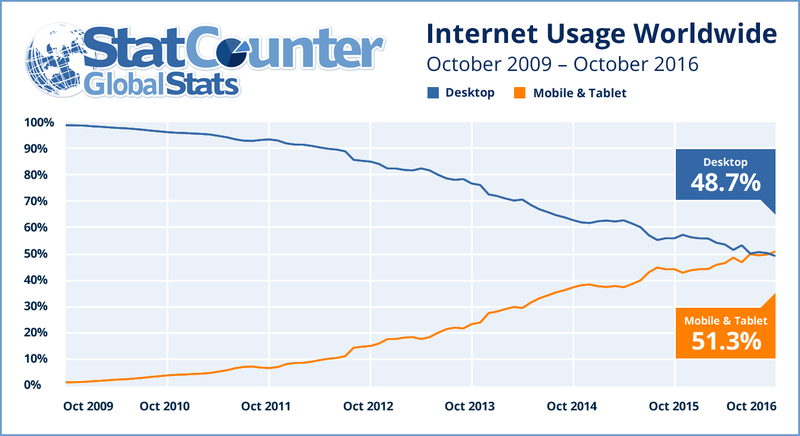 In fact, mobile Internet usage surpassed desktop for the first time in 2016. It makes sense, then, that Google would take steps to make sure that their results prioritized pages that were accessible on mobile devices. But in 2016, Google took things a step farther by announcing that it would be switching to a mobile-first index. This represented a reverse in how they’ve historically categorized and ranked pages, a shift illustrated nicely by this graphic from Moz. Essentially, Google has always indexed and ranked pages based on how they appeared on desktop computers. This meant that their results typically reflected the best pages for desktop users — which made sense when these users made up the majority of their audience. But if any of those pages performed poorly on smartphones, they’d be delivering a poor user experience for mobile users. So to keep up with the increasing number of users accessing online content on smartphones, tablets, and other devices, Google reversed the process. With this shift, they’ve started to rank pages based on the best results for mobile users. 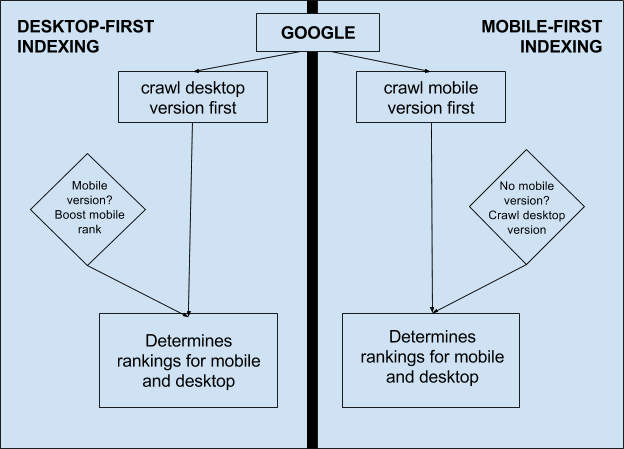 This means that if a site doesn’t perform well on smartphones, its rankings will suffer — even in desktop results. As you work towards improving your site’s online visibility, there are plenty of tools you can use to simplify and improve the process. You can learn more about each of these tools in our resource on how to do keyword research. For more information on each of these tools, take a look at our guide to on-page SEO. Another essential part of SEO is off-page optimization, which primarily involves earning backlinks. You can learn more about these tools and how to use them in our resource on off-page SEO. You can learn how to utilize these tools in our guide to seo metrics. Your goal with SEO isn’t just to attract traffic — it’s to convert that traffic into customers and clients for your business. As a result, you’ll need to make sure that your site is in line with your visitors’ needs and designed to encourage conversions. For more information, check out our resource on CRO and SEO. Optimizing a site is a complex, and often challenging, process. It takes time, planning, and a lot of patience to achieve the results you want with search engine optimization. But if you’re willing to invest the resources it takes to create and carry out a well-planned strategy, the results you’ll see in terms of sales and revenue are entirely worth it. It can help you boost your credibility, earn more traffic, and improve your online visibility. Plus, you’ll achieve all of those results with spending a cent on ad space. Beyond that, SEO is a great way improve the overall experience your target audience has with your brand. When you create content that’s in line with their needs, then make it easily accessible on a user-friendly site, you position your company as a helpful resource. Finally, as you work on your site’s optimization, it’s easy to monitor and measure your results — meaning you’ll never have to worry on whether you’re allocating your digital marketing budget effectively. So if you’ve been wondering why your site needs search engine optimization, the answer is clear: it’s one of the best ways to reach your marketing goals. What motivated you to start using SEO for your website?